Most likely this is my last recipe of the year. Today's one is Ginger Molasses cookies. Christmas celebration is not complete without baking any cookies. 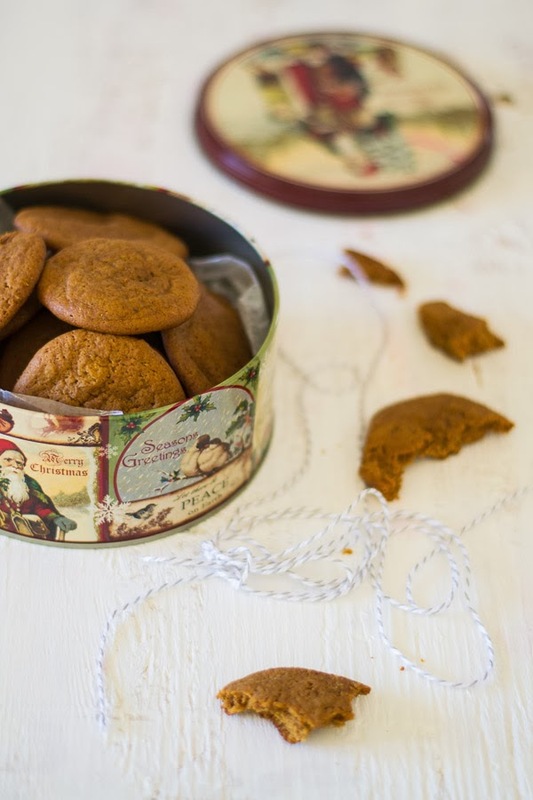 Though Ginger Molasses Cookie is people’s favorite throughout the year, they are most popular specifically during Christmas Holidays. 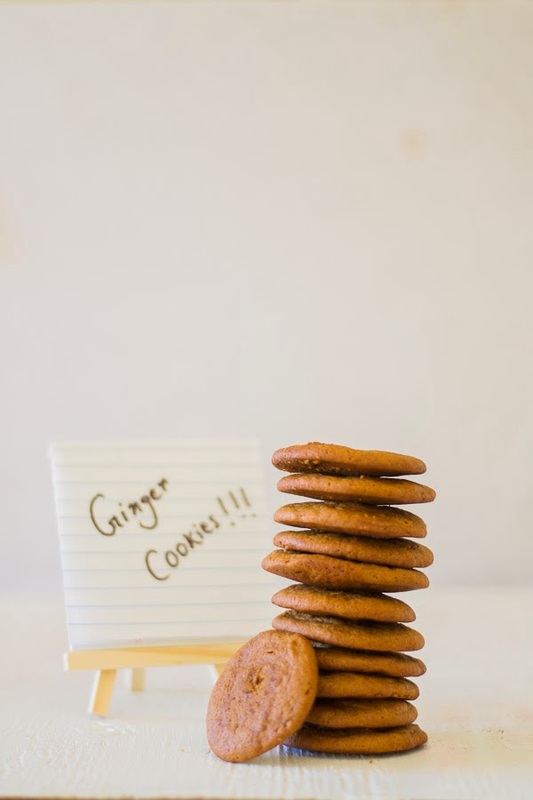 These are highly addictive, has nice combination of robust flavor of molasses and a rich spicy flavor of ginger. 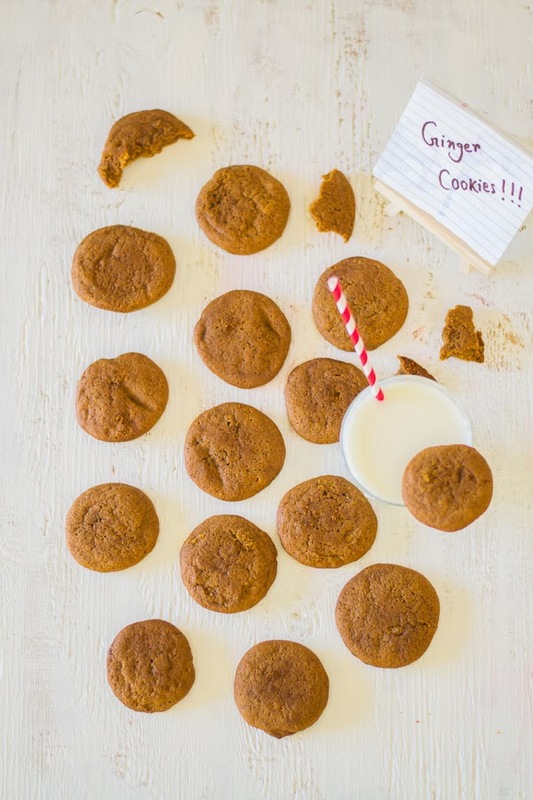 Ginger Molasses cookies are full of moist, soft and chewy that anyone would simply love it. Molasses is thick and dark sticky syrup. It helps the cookies to turn a lovely dark ginger-brown color. It also adds a sweet flavor and gives them a nice texture. If you don’t get molasses, you can use brown or white sugar as a substitute. Though earlier I made chocolate chip cookies couple of times, baked these ginger cookies for the first time. Few of them will be sent to one of my friends for Christmas gift. I had to read many useful tips on how to make best cookies before baking these cookies. Use room temperature butter : the fastest way to get butter to room temperature is to cut it into pieces and let it sit for 30 minutes. It is very important not to over mix the batter to get fluffy cookie. 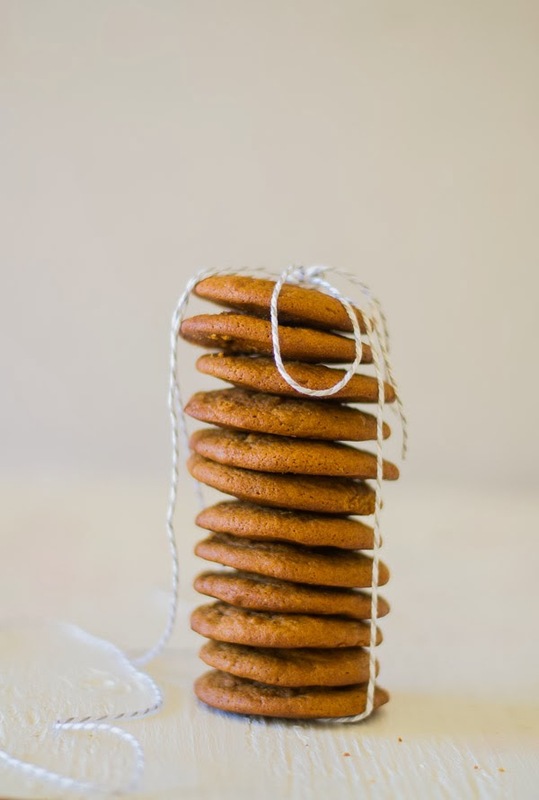 Chill the batter before baking : though it is time-consuming but it helps to prevent the cookies from flattening. Lower the oven temperature : if you are baking thicker cookie turning down the temperature 25 degrees back. Now coming to the actual recipe, that is very simple, takes hardly 30 minutes to complete the whole process. 1. Preheat the oven to 350 degrees F or 180 degrees C.
2. In a medium sized mixing bowl, take flour, baking soda, ground ginger, ground all spice powder and salt. Mix them together with a whisk and set it aside. 3. Using a stand mixer or hand mixer or wire whisk cream the butter and sugar. Add the egg whites one at a time and whisk. 4. Add molasses and vanilla extract mix them to combine. 5. Then finally add the flour mixture to molasses mixture. Mix it until just combined but do not over mix. 6. Line a parchment paper on a cookie sheet. 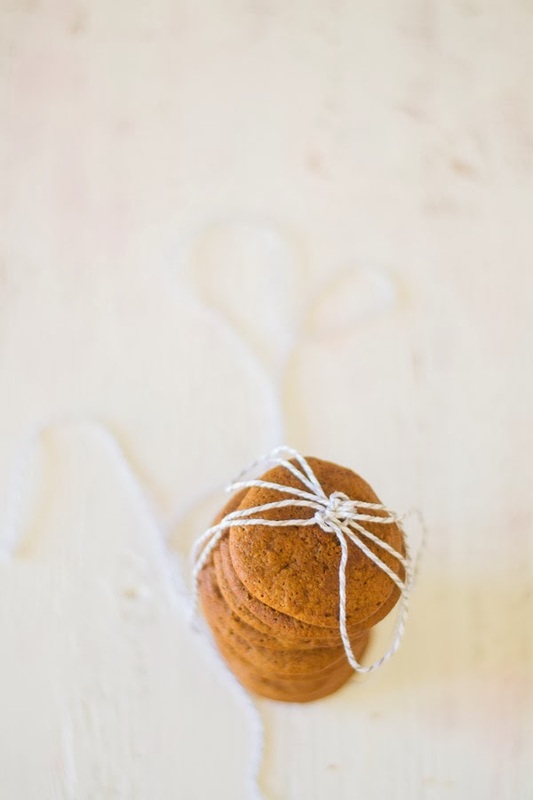 Using a cookie scoop or ice-cream scoop ( 1 and half spoon for 1 ball ) take the dough and place on a parchment paper. Use two cookie sheet or bake in two batches so that cookies get enough space at least 1-1.5 inches between each cookie. 7. Bake them for 12 to 14 minutes. Remove form the oven and let it cool down on a wire rack. Serve with glass of milk, or a cup of coffee or tea. You can cover and store these cookies for about a week at room temperature. Note : Chill the dough / batter before baking : though it is time-consuming but it helps to prevent the cookies from flattening. Wish you all my readers Merry Christmas and a fabulous 2014 !! Nice cookies Rumela.. Happy new year to you! and also one quick FYI, you mentioned baking soda in the ingredient list and when you mention mixing the dry ingredients you have referred to baking powder. I am assuming baking soda is the right choice.